We are excited to announce the release of BLU 2.0! As always, we are self evaluating from year to year and doing everything we can to make BLU the best Lacrosse travel program possible. Check out the changes coming in BLU 2.0. We are changing the format of our elite teams at every age division. Our elite teams will be coached by the best coaches and community leads in the Birmingham area. BLU is proud to announce that Jason Lange, the Head Coach of Division II Montevallo Falcons, will be joining our program and will be the head coach of the High School Elite Showcase team. Please complete our online tryout registration form for the HS elite showcase team. Be sure the check our website at blulax.com and social media outlets (facebook, twitter, instagram) for additional information. BLU is also extremely proud to announce the following local area high school head coaches will serve as the head coach of an elite team, as well as a director for that particular age group. The HS Elite team will participate in at least one, possibly 2, elite HS showcase tournaments. The Baltimore Summer Kickoff will be the premier showcase tournament that we attend. All teams will be selected by try out process. Our HS Elite Showcase Team try out will be March 3rd 1:00 at Spain Park High School. 10u, 12u, 14u, HS Freshman, and HS upperclassmen select and elite travel team tryouts will be in march and april. We will be announcing those dates soon. We are looking to start our summer season earlier and end earlier. We anticipate starting early to mid May and our last tournament will be June 22-23rd. Why the change? While we are committed to ensuring our members have the best Lacrosse experience possible, we want our families to be able to enjoy their summer outside of Lacrosse. We are committed to being done before July to ensure our players have time to pursue their other interests and families have plenty of time together. To ensure that we are able to capitalize on our practice times, we are looking to move our practices to artificial turf surfaces where the wet conditions, that are part of our normal weather patterns in Alabama, do not result in cancelled practices. We will make an announcement on practice facilities once we’ve finalized our arrangements. Each elite head coach will also be the head of each age division at BLU. Their responsibilities also include creating practice plans that will be executed by the coaches of the other teams in that age division. What does this change really mean? While we are devoting much energy to bolster our elite teams, we remain dedicated to our development teams. We will field as many development teams as we have demand for. These teams will be tryout driven as well, as we will take the top players by position to form each team while maintaining small rosters. We are also restructuring our non-travel training program which will be separate from our travel program. We will offer training sessions divided by skill level and age group . These sessions will have the feel of small group training sessions where players will receive personal instruction from our coaches to enhance their skill and knowledge of the game. 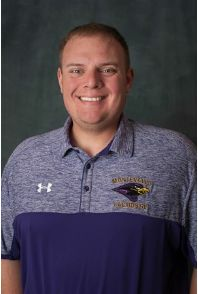 BLU is excited to announce that the University of Montevallo Falcons head coach, Jason Lange, will be joining BLU in summer 2019. Jason will take charge of the BLU high school division starting in the summer of 2019. Jason's coaching will provide our high school team with collegiate level instruction which will in turn build a foundation on which players aiming to play at the collegiate level can leverage. Coach Lange will lead our high school elite team in collegiate level showcase competition with some of the very best players from across the nation. Jason's network of coaches can prove instrumental for players collegiate recruitment asprirations. Not only will his coaching greatly benefit our high school program, but we will incorporate his methodologies in our coaching in the youth level program as well. Coach Lange is entering his second season as the first ever head coach of the men's lacrosse program at the University of Montevallo. During his first season at Montevallo Lange lead the inaugural team to a 7-7 overall record and had 4 players named to the Great Lakes Valley Conference (GLVC) all conference teams including two first team selections, one second team selection and one honorable mention selection. Kyle Little was named the Goalkeeper of the year and Kyle Nichols was named the Freshman of the year in the GLVC. Lange arrived at Montevallo after serving as the head coach for three seasons at Pfeiffer University in Misenheimer, North Carolina, a NCAA Division II school in the Conference Carolinas. Lange compiled a career record of 27-17 in his three seasons at Pfeiffer, including a 10-6 mark in Conference Carolinas play. Prior to his arrival at Pfeiffer, Lange served as a member of the Mars Hill University coaching staff for four seasons. In his final season at Mars Hill in 2013, Lange helped guide the team to a program-best 11-3 record. Lange also helped lead the team to three consecutive Deep South Conference regular season championships during his time as an assistant coach at Mars Hill. In seven seasons combined as an assistant coach and a head coach, Lange has coached five All-Americans, 26 All-Conference standouts, three Conference Players of the Year, and two Conference Freshman of the Year recipients. He also coached three players that were drafted into the National Lacrosse League, and one player that signed with a Major League Lacrosse team. Prior to joining the Lions' coaching staff, Lange was a standout on the field for Mars Hill. He served as a defenseman from 2004-09 where he helped lead the team to a Deep South Conference tournament championship in 2008 and a regular season title in 2009. Following the 2009 season, Lange represented the United States Athletes International at the Berlin Open in Germany and helped lead the team to the championship game. Lange holds a bachelor's degree in physical education with a minor in coaching. Welcome to BLU Coach Lange!